JNTUK 4-2 Notification 2019: JNTUK B.Tech 4-2 Sem (R13,R10) Regular/Supply Exams Fee Notification Feb 2019, Jntu Kakinada IV B.Tech II sem exams notification 2019. 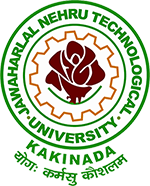 JNTU Kakinada has announced B.Tech 4-2 semester R13, R10 Regular/Supply Examinations Fee Notification February 2019 at jntuk.edu.in. Students can check more details about notification below. Detailed Time Table for theory Examinations will notified in the J.N.T. University. Kakinada website. www.jntuk.edu.in. 1. All the above Examinations will be conducted in jumbling system. 2. Laboratory/Project Examinations should be conducted from 01-04-2019 to 06-04-2019. Sir Jntu lo exam fee pay cheyyocha…? B tech 2-2 and 4-2 examination schedule are postponed? R13 Regulation. sir , there is an bandh on 16th …so any postpone and resheduled will be there or not ……..? Sir from 2/04/2018 those who have 2-2,3-2 supply exams not possible at that time to attend project review. So think about it. Please reply fast. what about b.tech 4-2 2nd mid notification. when it will held???????? ?